If you're tired of tasteless tomatoes and vegetables without character, it's time to visit your local farmer's market. Oh and besides all that beautiful and delicious produce that is a million times better than what you'll find at your local supermarket, farmer's markets are wonderful places for photographs—they are full of color and texture. 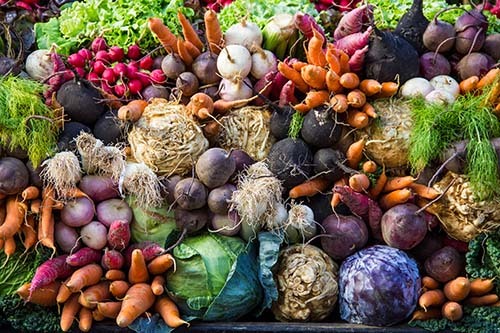 This week I'm challenging you to capture an image of a farmer's market at the harvest season, when the colors are bright and the offerings are most plentiful.